Everyone agrees that discrimination can be a grave moral wrong. Yet this consensus masks fundamental disagreements about what makes something an act of discrimination, as well as precisely why (and hence when) such acts are wrong. 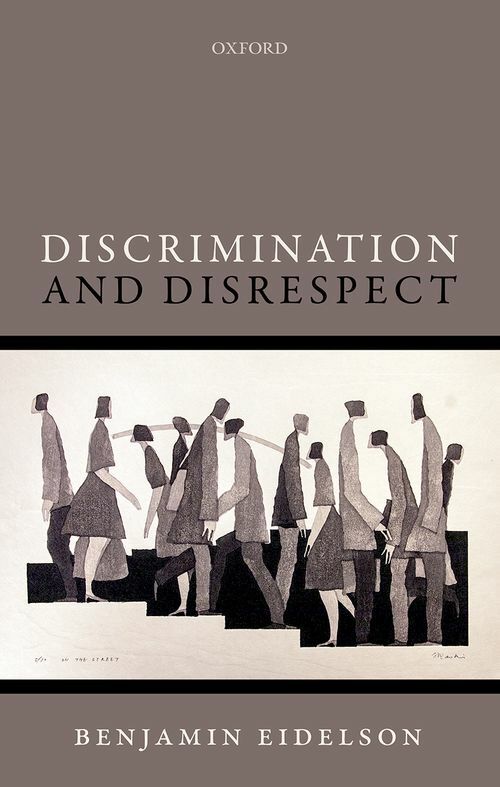 In Discrimination and Disrespect, Benjamin Eidelson develops illuminating philosophical answers to these two questions. Discrimination is intrinsically wrong, Eidelson argues, when it manifests disrespect for the personhood of those it disfavours. He offers an original account of what such disrespect amounts to, explaining how attention to two different facets of moral personhood - equality and autonomy - ought to guide our judgments about wrongful discrimination. At the same time, however, Eidelson contends that many forms of discrimination are morally impeachable only on account of their contingent effects. The book concludes with a discussion of the moral arguments against racial profiling - a practice that exemplifies how controversial forms of discrimination can be morally wrong without being intrinsically so. Benjamin Eidelson completed his BPhil and DPhil in philosophy at the University of Oxford, where he studied as a Rhodes Scholar and received the Gilbert Ryle Prize. He also completed a law degree at Yale Law School and served as editor-in-chief of the Yale Law Journal. His scholarship focuses on points of contact between philosophical and legal questions.